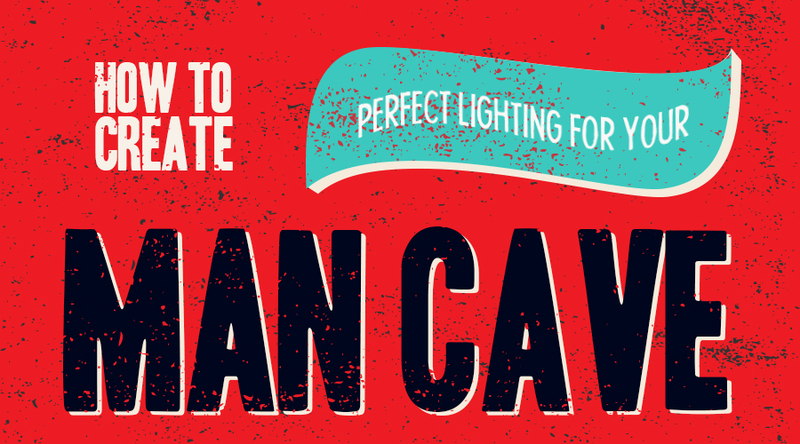 The right lighting in your man cave is more important than you'd think. Get the perfect vibe by considering your key arrangements. The correct light can turn a cold, harsh room into a relaxing zone that you actually want to spend time in. From ceiling lights and wall lights to table-top lighting features, take the time to find combinations that work for you. 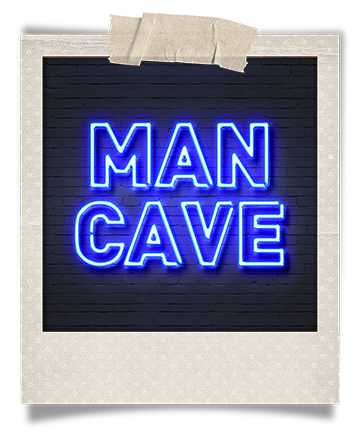 Contrary to popular belief, not all man caves are dark and unwelcoming! You've probably put a significant amount effort into the design of your room already. The thoughtful television placement and wall artwork (picture lights would come in handy here) makes your new zone enviable to your friends, but have you thought about lighting? 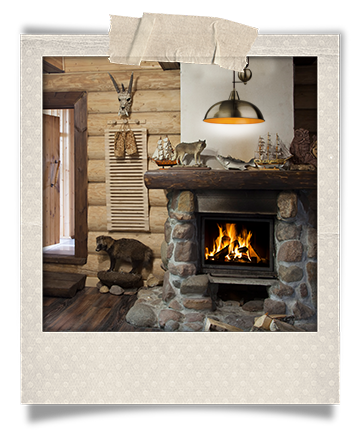 Time to place the cherry on top of your perfect man cave set-up, in the form of these inventive lighting ideas. 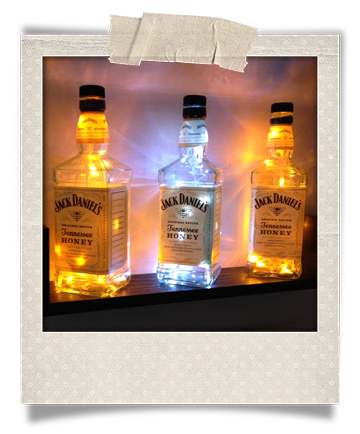 Use empty spirit bottles as creative table lamps. Clear bottles will have the best impact. Stuff the inside of them delicate fairy lights to create a warm atmosphere. Don't forget to properly scrub out the Jack Daniels first! You don't want any funny odours a few months down the line. And remember, the bigger the bottle, the better. What a shame - looks like you'll just have to buy that 5-litre tank of whisky that's on offer! Colourful neon lighting never went out of fashion. These bespoke lights can often be expensive but are well worth the investment. Find something pre-made online or commission an artist to create a custom piece. Dazzling neon wall lights that cover a large surface area can make a really bold statement. Rough and ready textures and shapes are more popular than ever. Stark bulbs with no fixtures and oversized hanging ceiling lights can cost little but make a huge difference to any space. Go large, and keep it simple. Why not see what you can find second-hand to really add to that industrial feel? If you want to go the whole hog with this theme, try other furniture and DIY ideas. Expose some bricks behind those wall lights, make a coffee table from disused palettes, or make a DVD case from old wooden crates. 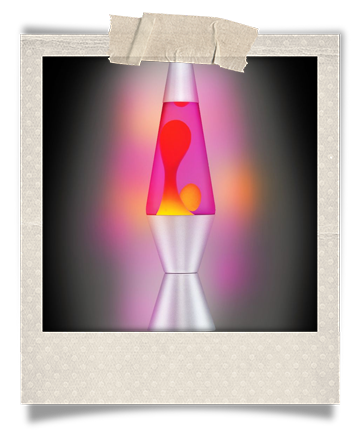 The lava lamp is back in fashion! Celebrate nostalgia and re-create your favourite childhood spaces by placing one of these animated lights in a dark area. A range of colours are often available and any light that generates movement can add to a relaxing atmosphere. Don't forget to look up. Have you thought about what ceiling light would work for your social area? If you've gone for dark, atmospheric lighting around you, you may need something bright for up above. Again, uncovered bulbs can add to that 'raw' feel. 1. Don't go overboard. In an average-sized room, 3-5 different pieces of lighting work the best. 2. Do remember that screens are also lights, so consider them in your set-up. 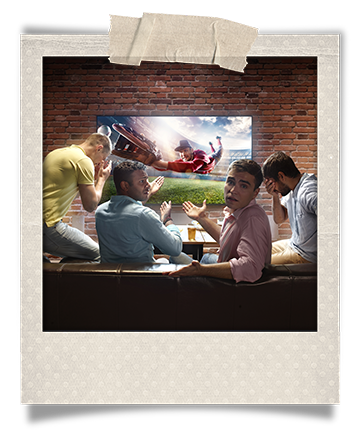 Try not to place strong lighting behind (or right next to) the television, for example, as it can be a huge distraction.